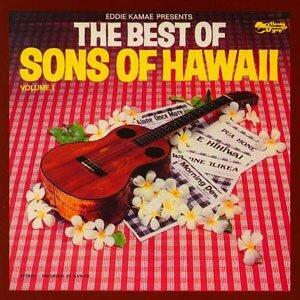 There are few old-school Hawaiian bands better known than The Sons of Hawai’i. With an original lineup of Gabby Pahinui, Eddie Kamae (on ‘ukulele), David “Feet” Rogers, Joe Marshall, Moe Keale, and Rev. Dennis Kamakahi, the Sons were a who’s who of powerhouse Hawaiian musicians. E Ku’u Morning Dew is one of frontman Eddie Kamae’s most famous songs. It has a repeating jazz sort of ii-V-I progression that is odd in Hawaiian music, but makes the song very easy to play. This tab highlights the melody in the key of G and also throws in some strums to fill out the harmony. Play with a low-G to reach all the melody notes.